Running your own business is great! This blog is to encourage all those that have ever dreamt of running their own business to pursue their dream. It may not always be a walk in the park, but it’s likely to be the best decision you ever make! Here at Business Partnership, we’re passionate about entrepreneurship and we love to help people reach their potential and follow their dreams by connecting people who long to be their own boss with the ideal business for sale. For many people, running their own business has always seemed like an ideal that is just out of reach; and whilst we’re not going to say it’s easy, what we will say is that all the hard work is well worth it. “If you just work on stuff that you like and you’re passionate about, you don’t have to have a master plan with how things will play out.” – Mark Zuckerberg. If you’re thinking about running your own business then it makes sense to choose a business or industry that you’re passionate about. Choose something you love and waking up for work each morning will be a pleasure. When you’re running your own business you get the final say on all important business decisions. For the entrepreneurial-type, being in control and making key decisions can be the key to feeling challenged and fulfilled at work. As touched on in the previous point, running your own business can be extremely fulfilling. You will feel a sense of achievement like no other in seeing a business grow and flourish based on the decisions you have made and the hard work that you’ve put in. When you’re calling the shots it gives you the flexibility to build a business that will fit in with your lifestyle and commitments. Build a business with your work/life balance in mind to live a happier and healthier life where not only are you fulfilled at work, but you also get to spend more of your time on what’s important to you, whether that’s your family, dog or hobby. When you’re the boss your personality will form the foundation of your company’s culture. When working for others it can be difficult sometimes to fit in with someone else’s vision and personality type, but when it’s your own business you are in control of your work environment and the people you employ. Of course not every business venture is a success, but with the right prior research, a bit of know-how and a lot of hard work, you could find yourself with an earning potential much higher than you ever did working as an employee for someone else. Ready to begin a new business venture? Feeling inspired to become your own boss? 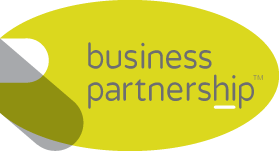 Get in touch with us here at Business Partnership for expert advice on buying a business. or browse the businesses for sale on our website.